For a tournament that began just 10 years ago, the IPL sure has come a long way. The IPL is now more valuable to broadcast per match than the NBA and Major League Baseball put together. Star Sports is paying $8.47 million (Rs. 55 crore) to the BCCI for the rights to broadcast every game of the IPL. In contrast, the broadcast rights for the NBA basketball league in the US were sold at $1.99 million (Rs. 13 crore) per match, while the broadcast rights for each game of the US baseball league, MLB, were sold for a mere $0.63 million (Rs. 4 crore). These leagues aren’t directly comparable, because the NBA and MLB have far more matches than the IPL, which only has 60 odd games, but the disparity in the per match fee shows IPL’s growing clout. There are still international leagues that are more valuable than the IPL — the broadcast fee for hosting the English Premier football league is $13.15 million (Rs. 85 crore) for each of its 380 matches , while the NFL, the American Football League, is the most expensive sports league in the world with each match costing broadcasters a cool $22.47 million (Rs. 146 crore). But cricket’s enormous popularity in India has helped the IPL leap past older and established sports leagues in terms of pure value. 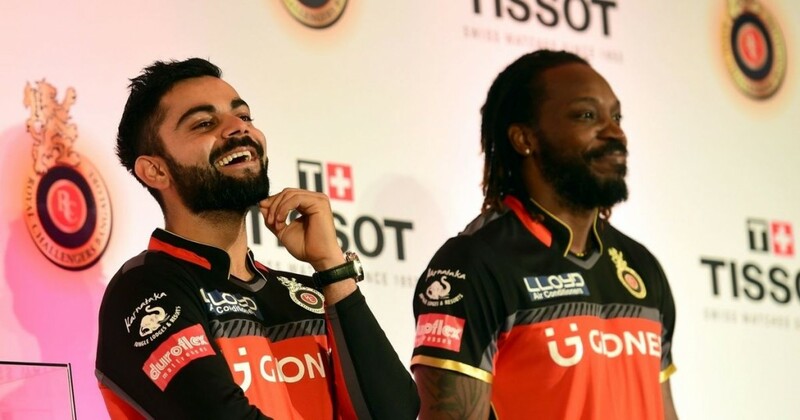 IPL’s per match prices are even more impressive because broadcasters can only recoup their money by showing ads to Indian audiences, which have a much lower purchasing power than their American counterparts. 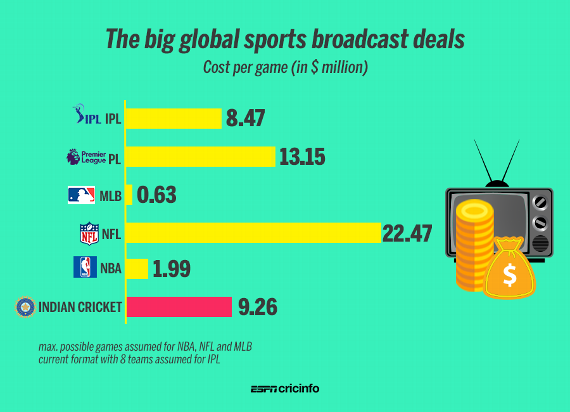 For the IPL to manage to not only match, but also surpass the per broadcast prices in US dollars, shows how lucrative the league is for companies that manage to earn the rights to broadcast it. And advertisers are willing to pay serious cash to have their ads shown during the IPL. Spot buys of ads during the can cost as much as Rs. 6 lakh per 10 seconds. Cricket is also blessed with a format that allows for lots of ads to be shown during overs, making it possible for broadcasters to recoup their investments. But within 10 years of its founding, the IPL truly sounds like an experiment whose time has come. When it was first launched in 2008, it had been dismissed by critics as being too flashy, too over-the-top, and not “proper” cricket. But as the league’s popularity has burgeoned over the years, its shown that its cocktail of film stars, dancing cheerleaders, and, of course, cricket, has struck a chord with viewers. And now IPL confidently straddles on the world stage, holding its own against some of the most popular sports leagues in the world.